This book is a social and agrarian history combined into one. Its main focus is on Bengal but at times it takes other parts of India as its area of study. The period is essentially the colonial period-the eighteenth and nineteenth centuries when great changes took place in the social structure of the country, particularly in the countryside. 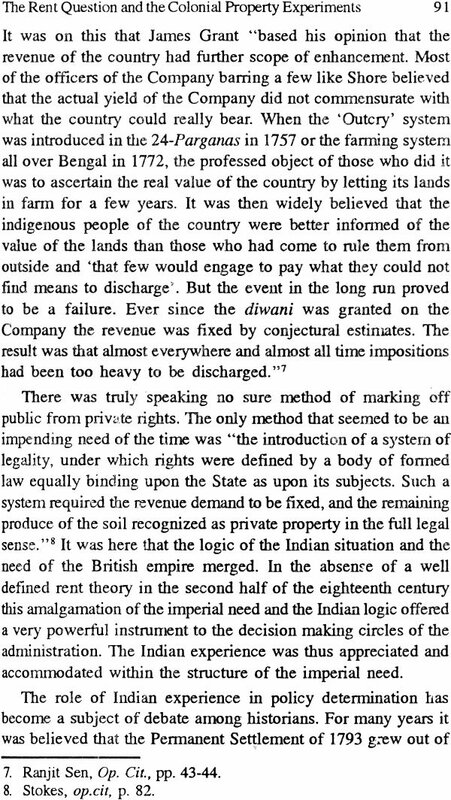 With the coming of the English in power the land revenue system of the country changed. Traditional aristocrats went down and a new elite emerged. In Bengal the traditional Mughal elite was power elite represented by a Raj Ballabh or a Nanda Kumar, an Alam Chand or a Reza Khan. Trade had never been their business. They had space in the structure of governance and revenue assignment was their source of living and affluence. As the English east India Company rose to power these men sank. They were replaced by a set of base Indians who collaborated with the English in their effort to rip up the interior in search of wealth. They were not entrepreneurs but compradors who acted as the go-betweens between the in-coming ruleers and the Indian society. To these group belonged a host of new men, one Raja Nabakrishna, one Kantu Babu i.e. Krishna Kanta Nandi or Gokul Ghosal. They eventually became the founders of the new Raj. Thus Raja nabakrishna set up the Shova Bazaar Raj, Kantu Babu the Murshidabad Kandi and the Calcutta Paikpara Raj and Gokul Ghosal the Khidirpur Bhukailash Raj. This is the story of a new transformation and the whole first chapter of the book deals with this. When changes of a great magnitude were shuffling the upper strata of the society what happened to the most down-trodden-the peasants and the sharecroppers of the interior of the country-the villages? A class of rich peasants emerged in the countryside and the middle grade and lower grade cultivators who could not with stand the pressure of rack rent became impoverished. Thus the emergence of a class of rich peasants balanced the marginalization of the rest of the peasant society. This was a tremendous dichotomy in the rural world with which the British rule began in Bengal and eastern India. How was this done? Certainly with the instrument of a land charter called the Permanent Settlement. But changes were taking place in Bengal’s economy and society for a long time. What the English did was to hasten the pace and to some extent the direction of the change. The English tried to create a concept and also a structure of property in Bengal which they thought did not exist in the country and was never allowed to grow under the Mughal rule. Their aim was to create a prototype of the English landlord who could effectively act as the leaders of the interior by harnessing the rural wealth for agricultural improvement. In this they were guided by the principles of Physiocracy and Mercantilism that were reigning in Europe towards the end of the eighteenth century. But in doing that they somewhat wrongly applied the theory of rent which was emerging in Europe as a new blast for property improvement. All this has been discussed and detailed out in rest of the chapters of the book. It is worth noting that the book is at once a text book for history students at the BA and MA levels and a reference tool for higher research in the subject. 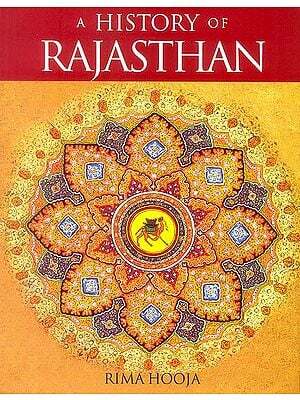 It is written without jargons mainly addressing itself to lay readers. Let us start with the question: What is the book about? This book is an anatomy of two institutions, property and aristocracy, which grew in Bengal toward the end of the eighteenth century and which in their Bengal forms were denied further extension in any other part of India except at Awadh in a small way under special circumstances after the revolt of 1857. This book is thus a social and agrarian history combined into one. Its main focus is on Bengal but at times it takes other parts of India as its area of study. The period is essentially the colonial period-the eighteenth and nineteenth centuries, when great changes took place in the social structure of the country, particularly in the countryside. With the coming of the English in power the land revenue system of the country changed. Traditional aristocrats went down and a new elite emerged. In Bengal the traditional Mughal elite was power elite represented by a Raj Ballabh or a Nanda Kumar, an Alam Chand or a Reza Khan. Trade had never been their business. They had space in the structure of governance and revenue assignment was their source of living and affluence. As the English East India Company rose to power these men sank. They were replaced by a set of base Indians who collaborated with the English in their effort to rip up the interior in search of wealth. They were not entrepreneurs but compradors who acted as the go-betweens between the in-coming rulers and the Indian society. 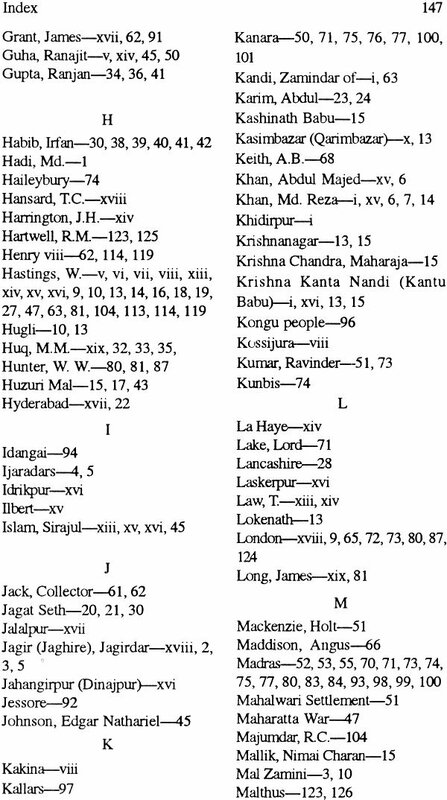 To these groups belonged a host of new men, one Raja Nabakrishna, one Kantu Babu i.e. Krishna Kanta Nandi or a Gokul Ghosal. They eventually became the founders of the new Raj. Thus Raja Nabakrishna set up the Shova Bazaar Raj, Kantu Babu the Murshidabad Kandi and the Calcutta Paikpara Raj and Gokul Ghosal the Khidirpur Bhukailash Raj. This is the story of a new transformation and this has been adequately studied in the book. When changes of a great magnitude were shuffling the upper strata of the society what happened to the most down-trodden- the peasants and the sharecroppers of the interior of the country? A class of rich peasants emerged in the countryside and the middle grade and lower grade cultivators who could not withstand the pressure of rack rent became impoverished. Thus the emergence of a class of rich peasants balanced the marginalization of the rest of the peasant society. This was a tremendous dichotomy in the rural world with which the British rule began in Bengal and eastern India. The rich peasants and the new aristocracy, the two social icons created by the post- Palasi transformations, eventually served as the two prefixed structures facilitating the entrance of the new landlord after 1793. 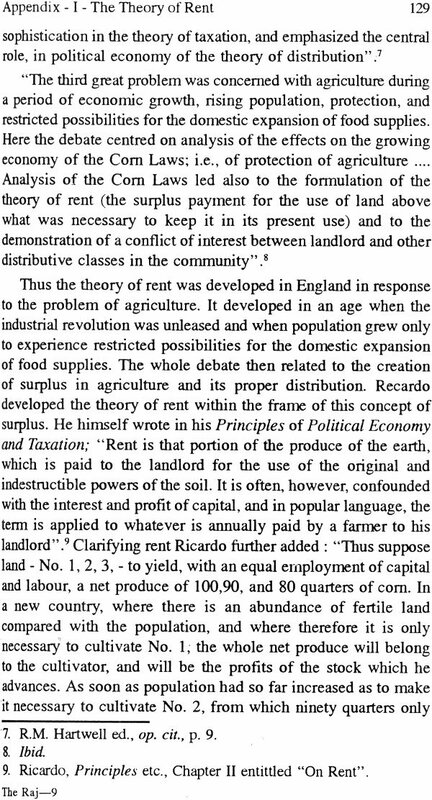 A landlord is redundant without property and therefore property and landlord came as two organically attached phenomena of agrarian economics of Bengal. Things were moving towards this for a long time. What the English administrators did in 1793 was to hasten the pace of the change. 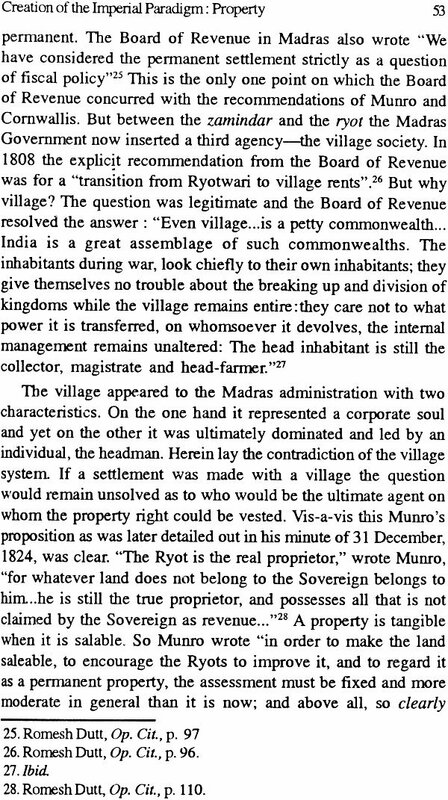 They worked under the conviction that the concept of property did not exist in India, for it was never allowed to grow under the Mughals. Their model was the English landlord who was exercising a masterly supervision over a mechanized agriculture. 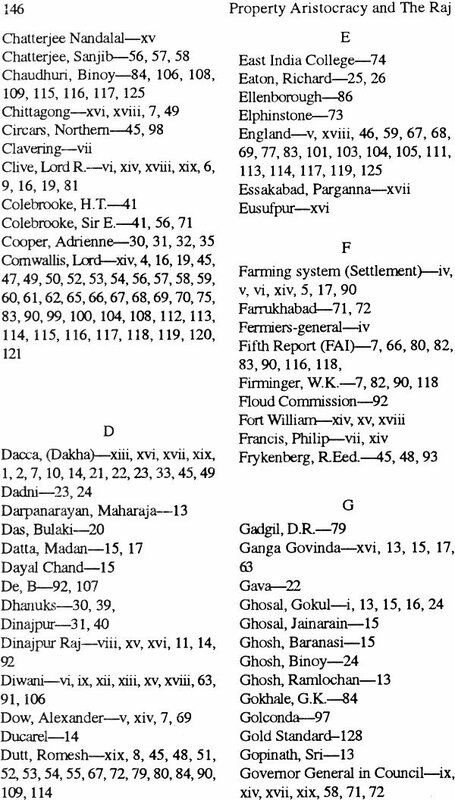 But Bengal’s agriculture was not mechanized and large farms were not available in Bengal. 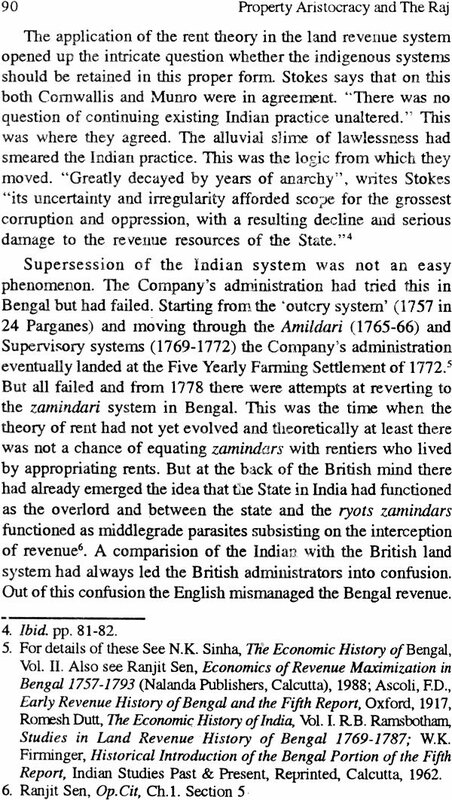 These points went missing in the intellectual understanding of the property-framers in Bengal. For this the whole scheme fell through. Property and aristocracy thus became two imperial paradigms marred by inexperience and unredeemed by time. The book is all about this. Functioning as a paradigm-scanner it takes a three dimensional approach to events in which man, institution and ideas make up the corporate existence of a moment that mirrors history in the ecstasy of its fulfillment. ‘Who owns the land?’ This was the question which remained unresolved in Bengal till the end of the eighteenth century. The answer came late in the century- the zamindar. He was one figure who then stood at the cross-roads of change. A patriarch of the interior he had command over three powers in the past - fiscal, police and judicial. This was because he was the master of the three at the village level. With these three in hand he was the middle point where the challenges of the state met the response of the people. In 1793 this majesty was shaken. With the introduction of the Permanent Settlement the police and judicial powers of the zamindar were withdrawn and he was stripped of the majesty that he enjoyed for generations. He was made simply a landlord a position innovated by the British. As landlord he now owned all lands including ponds and forests that constituted his zamindari. A one-time lord of the interior he now became simply a manager of the interior wealth, master of the agrarian resources of the country. In that capacity he now represented the greatest paradox of the time, a cipher flanked all around by unproductive affluence, a functioning superior turned into a truncated mobilizer of the village society. He was destined henceforth to remain under the thumb of two new officers, the Collector and the Magistrate. He had access to revenue, the source of affluence but he ceased to be the coercive arm of the state. His forts were demolished. His militia was disbanded. His glamour as a warlord collapsed. He could now at best preside over the caste cutcheries but village justice slipped out of his hands. As a landlord he was now simply an overseer of revenue whose life was now anchored in idleness and affluence. With all these a great change came over in the rural world. 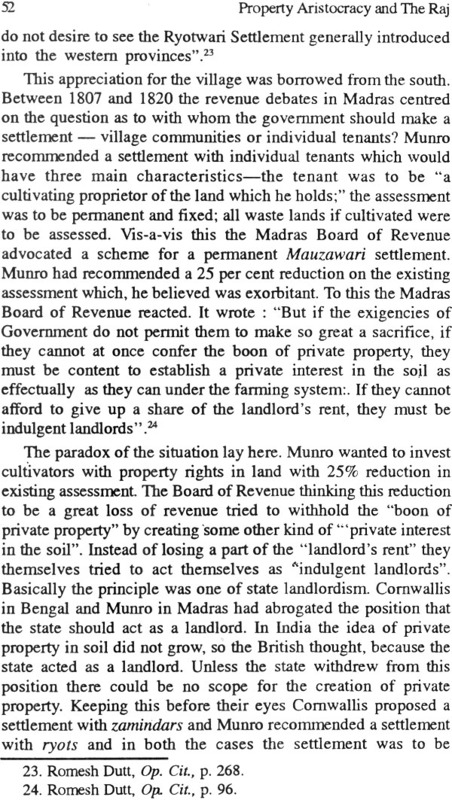 As a landlord a zamindar was under the obligation of passing on to the State a stipulated tribute in the form of revenue the quantum of which was permanently fixed. Towards the fulfillment of this he was given two things- ample unassessed waste lands the revenue of which he had no obligation to share with the state and vast authority to rack-rent peasants who till 1859 had no defense against his oppressions. Why was this? Was this only to create property and a propertied class in land? The apparent answer would be ‘yes’. 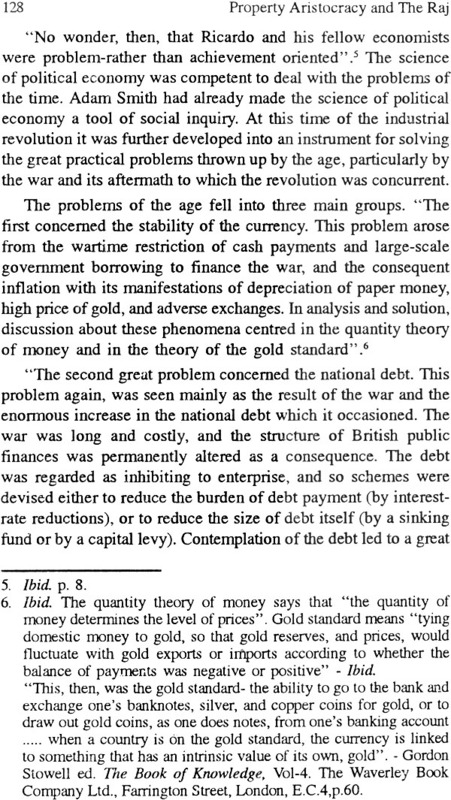 But there were deeper and compelling motivations which were concomitant to empire-building. Bengal, a riverine country was blessed with nature’s bounty and its plentiful agricultural resources had to be properly harnessed before it was lost through the rapacity of the Company’s servants and their amlas. To do this an effective managing agency was needed. In Bengal there was only one class of people that could man such an agency and it was the zamindar class. In the first quarter of the eighteenth century Murshid Quli Khan found this class to be an indolent one but could not eradicate them. He placed amils, i.e supervisors on their heads and made them function as contractor-collectors of revenue in the fashion of fermiers-generale of France.. Thus zamindars had been suspects from the beginning and this suspicion about the most formidable elements in the agrarian society continued till the year 1790 when they were finally accepted as the ineradicable part of the village life and recognized legally as the only adequate and invariable agency that could supply leadership to the interior of the country. In 1790 the fanners or revenue-bidders were discarded once for all. 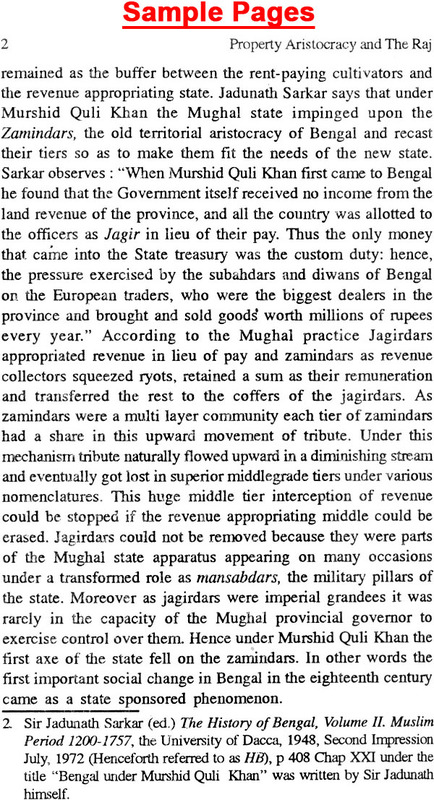 They were introduced in the 24-Parganas for the first time in 1757 when on the assumption of the zamindari of the district the Company’s government instituted the outcry system with the idea that the zamindars in order to save their ancient possessions would outbid other speculators and in the process would open the hidden sources of their wealth. 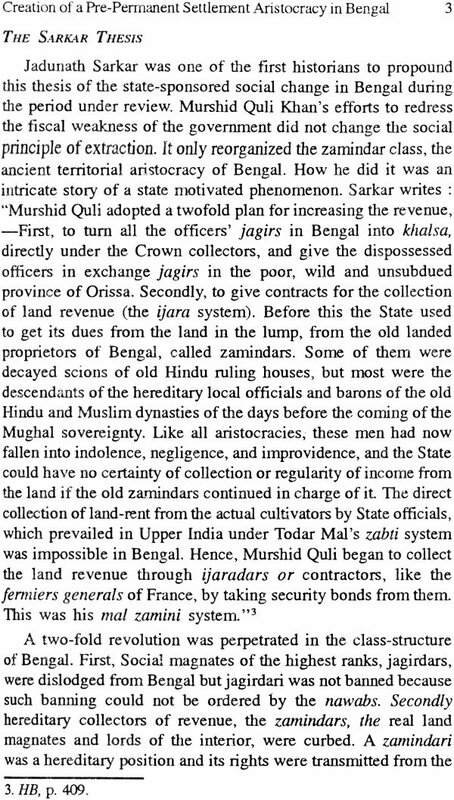 The outcry system was eventually extended to other parts of the country and by 1772 speculators from Calcutta flooded the countryside to take over the management of zamindaris. This was the farming system, the universal form of the outcry system. In 1790 thus two things happened. Land-speculators were removed. Supervisors of all kinds were driven out and the field was cleared to be taken over by the zamindar, the unshakable country lords who braved the revolutions of time and remained firm in their stations. The second thing that happened was that the basis of the permanent settlement was laid. Ever since the take-over of the country by the Company zamindars were made to operate in a condition of competition with speculators who had no attachment with the soil. They functioned without any hope for their future or any incentive for their present. In 1790 their stations were crowned with public acceptance. A settlement with zamindars was made for ten years. Three years later it was declared permanent.